At this haunted cemetery, witnesses have reported faces that appear in the bushes, unexplained noises, objects that move on their own, flashes of light and chiming bells. Some folks have seen orbs, others have had them show up later in photographs. He knew to use Google translate…pretty smart. 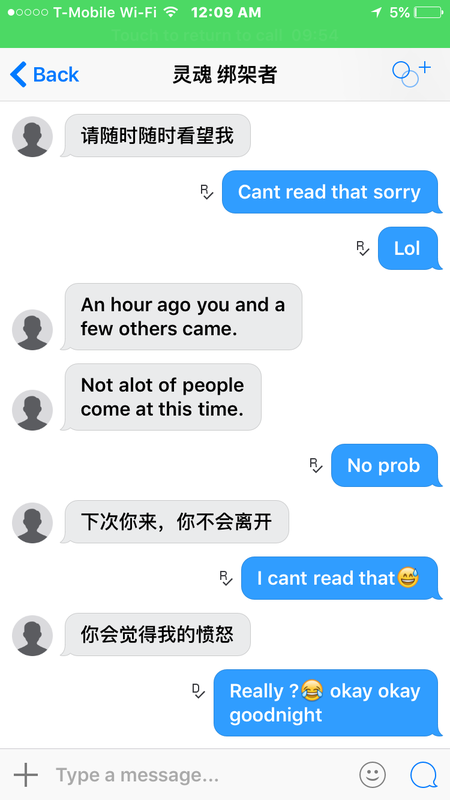 His Chinese grammar is pretty funny tho…the last one in the screenshot literally says ‘ you will think my anger’..I think he meant to say you will feel my anger.